Posted December 15, 2016 by Josette Farrell in News. 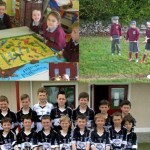 Hundreds of people turned out at Turloughmore Social Centre on Friday for the launch of a new book entitled Lackagh National School 1886-2016 Times Past and Present on Friday night. 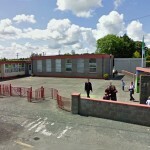 School principal, Michael Lydon, said that the idea of a book came as a new chapter is about to emerge n education in Lackagh as a new school building is now in progress, with the current school 50 years old. 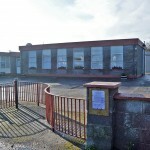 Under the direction of chairman of the history committee, Frank Kearney, it was decided to get back to the previous school built in 1886 and put together a history covering one 130 years of education in Lackagh. Members were put together who had attended both schools and for the past 18 months have been seeking information and photographs from past pupils. Mr. Lydon paid tribute to the dedicated committee who had worked so hard to bring the project to fruition. He added that the school was also launching a CD of music provided the present pupils of the school and paid tribute in particular to teacher Sacra Furey for her efforts. The chairman of the school’s Board of Management, Seamus O’Connell, paid special tribute to the History committee of Frank Kearney (chairman), Angela Fahy (secretary), John McDonagh (treasurer), Keith Duggan, Jarlath McDonagh, Deirdre Clareke, Joe Collins, and Caroline McDonagh, and school staff Michael Lydon (principal), Susan Quirke and Gina O’Grady. He said that there are now records of information and photographs which for many years were hidden in drawers and are now published for all to see for generations to come.